Find the perfect teacher or instructor in Imperial Estates for private mandolin lessons in your home or in their studio. Check out some of our most popular teachers near Imperial Estates including Los Angeles, Long Beach, Irvine, Glendale and Burbank. Hello! Thank you for your interest in taking guitar/piano/music lessons. I am a professional teacher/studio musician/performer/producer with over 20 years of private teaching experience and a graduate of the University of Miami Studio Music and Jazz program in 2002 specializing in the guitar. I am available to teach guitar(acoustic, electric, classical) for all levels, ages, and styles(pop to folk, rock to soul, world to classical) in English, Spanish and Japanese. Other subjects taught include bass guitar, piano/keyboard, ukulele, banjo, mandolin, harmonium, classical percussion, music theory, composition(all styles from pop to classical), ear training, and studio production/engineering/mixing. y to play percussion in the school symphony while at the same time developed an intense interest in the instrument that would become my true love, the guitar. During 1996-98 I studied jazz guitar at the New World School of the Arts music program under the direction of J.B. Dyas and Dr. Roby George. Upon graduation, I was immediately accepted to the University of Miami jazz guitar program under the direction of Randall Dollahan. It was during this time that I also refined my skills as a classical guitarist and as a composer/arranger. In addition, I began passing my knowledge onto friends and eventually began working as a teacher. My ability to play almost any genre of music is the fruit of past experience playing with an impressive variety of music groups, including jazz combos, symphony orchestras, Andean world music ensembles, and several rock and pop groups as well. As a studio guitarist I have recorded for various artists including Jaci Velasquez, Carlos Ponce, Alexandre Pires, and Noelia. Now also available to teach online video chat lessons through Skype. Every one of you is unique and there are many possible paths to reach your goals in music. With my background and music industry experience, I am able to customize my lessons for you so that you can reach your desired goals. We will take some time to find out where your passion lies in music and I will use my experience and knowledge to create a customized lesson-plan that will allow us to focus on reaching your desired goals and at the same time maintain a well rounded music education. I find this to be key in making the lessons and your practice sessions very enjoyable, fun and laid back - knowing that everything we practice, play and talk about is in line with your goals as a student. I will also be playing along with you and demonstrating everything that we're working on - music is meant to be shared and played with others and it is important to have that experience of interaction from early on in your lessons. So whether it's learning to accompany yourself or others, write songs, read music, understand harmony, solo, or just jam out to your favorite songs, you will be well on your way to reaching your goals within 6 months of my lessons. Look forward to making music with you! Living room w/ grand piano and seating for parents. Room/studio with professional recording equipment - Logic Pro X recording software, Mackie HR824 Studio Monitors, Miktech C4 Tube Microphone, UA6176 Preamp/compressor, Apogee Duet D/A converter. I provide my instrument and teaching materials. Students provide their instrument, music folders. Edwin was patient and very knowledgeable, he moved me along by using my musical skills while emphasising the basics to provide a firm foundation. He gave me some immediate gratification and set up some good challenges to work on for my next lesson. He is a talented teacher, and it felt like he was right in the room with me. Highly recommend! Edwin is very kind, patient and loves what he does. He took the time to understand what I wanted from the lessons and then quickly started me down the path of learning to play the guitar. Hi, I'm Glenn. Thank you for viewing my profile. I've been teaching students for over 20 years, playing all styles and levels of music, from day-one beginners to seasoned pros seeking to sharpen their playing skills. I teach both traditional notation and tablature, writing my own teaching methods in both formats. I can transcribe any song or solo for you, and can arrange the music to fit your particular level of skill. I earned a B.A. in Music Composition and an A.A. in music theory, and have worked as a professional musician since graduation. I play in a variety of bands that cover rock, jazz, surf, oldies, and country, and also write and arrange music for those bands as well as writing my own music that can be heard on my own YouTube channel. d electric guitars, as well as ukuleles, mandolins, bass guitars, and lap steel guitars. I'm personable and patient, and my lessons include songs, techniques, and instruction for improving your musical skills. I look forward to meeting you and having fun learning and playing music together. I'm big on teaching songs and techniques learned through scales and chords, which will enable you to improvise, solo, and write your own music. I can teach either traditional note reading or tablature, and can transcribe your favorite songs and solos. The lessons are fun, with new material to learn and play every week. I hope every time you pick up a guitar, it will be a creative experience! Home studio: front room turned into music studio. recording gear, all instruments listed, additional seating for parents. Morey's Music: Music store setting, small practice room, additional seating for parents. I've done it all-like theory, all styles of music. This is the only lesson I've ever had but Glenn is a receptive and nice person who got me started on basics in spite of my computer camera problems. I'm looking forward to my next lesson and hopefully no computer issues on my part. A fun instrument and somewhat easy to learn. Learn to strum chords and/or solo. I've been playing music my whole life, but it was as a high school student when I was asked to teach the school's guitar class that I became a teacher. Since that time I've gone on to earn several awards, played in many different types of projects, and earned a Master's degree. You might have heard my music before too if you've ever listened to a podcast, TV commercials, Indy films, or played any video games. My most successful student thus far however, would have to be Jacob Tilley from the rock band Young the Giant. ts. Basically I've done a little of everything and I believe that it is this diversity of experiences that makes me a better teacher. Having worked in so many settings gives me a broad understanding that I use to help you reach whatever goals you might have. I have also become adept at writing, recording and producing music, studying under Frank Wright of the legendary rock band Chicago. If you have an interest in creating and/or recording music I can definitely help you get there! Check out my chill/downtempo instrumental album 'Night Music'. I can teach you about playing several different instruments, how to write, how to record your own music, and how to get your music career off the ground! As a youth, I was largely self-taught so my inspiration was always to have fun. I never had to deal with the 'homework' style of practicing so I've naturally incorporated that approach to my lessons. My goal is to keep you (the student) inspired and having fun. When that happens you will become good at your instrument and feel as though you 'played' your way to success! As your teacher I will also provide almost all of the materials for free and show you great free apps to help you along with your learning and keep costs to a minimum! I know we will have fun together while you learn and I look forward to meeting you! Guitars, piano/keyboard, drums, bass, banjo, mandolin, ukulele and a ProTools recording studio. I provide the learning materials but I expect the student to have their own instrument, be that a guitar, drum set, etc. Commercial music is definitely my specialty, but I am also capable of doing various styles such as classical, bluegrass, traditional/folk. Just focus on what you want to learn and I can teach it to you. I have been taking banjo lessons from Ken for 5 months. As an adult learner, I was concerned about finding the right person to take lessons from, and Ken has been wonderful. He paces our lessons well so I don't feel too overwhelmed. He is proficient in the banjo and other instruments so I'm getting well-balanced instruction. He is also very flexible with my schedule and adapts our lessons based on my progress. Ken really does deserve all of these 5-star recommendations. Ken is a great instructor. Easy to talk to. Provides excellent instruction. Perfect for a beginner. Ken makes learning fun. He's very encouraging. I can't wait for my second lesson. 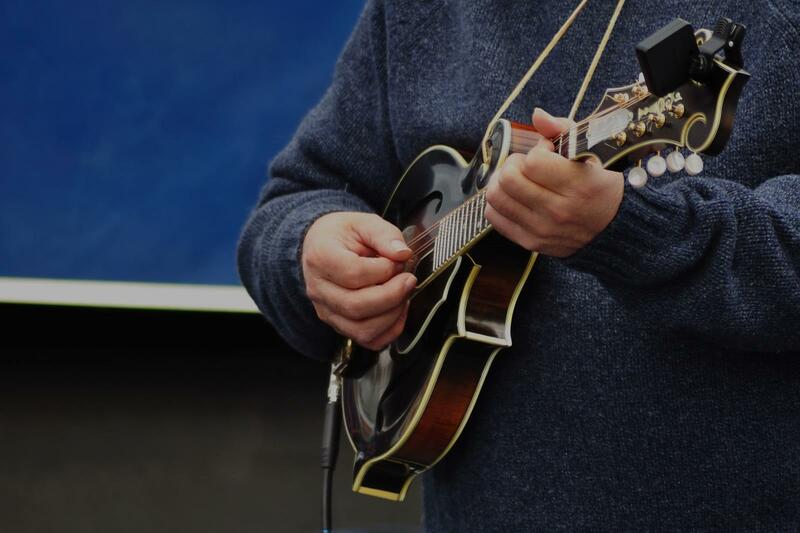 Mandolin playing requires a knowledge of chords, melody, picking technique as well as knowing songs to play all of which we will begin to learn in your first lesson. As a teacher, I have worked with of many ages and backgrounds. One of my students, Skylar Stecker, has gone on to become a successful major label recording artist recently becoming the youngest artist to receive a number 1 on the dance billboard charts. I recently had the opportunity to tour with her as her guitarist and pianist. bass, ukulele, banjo as well as write music. I am extremely patient and firmly believe that anybody can learn to play music. I try to keep my teaching philosophy simple. We figure out your musical goals and aspirations and carve out a path to achieving them. Along the way I will try to illuminate how the path to attaining your goals and aspirations is best taken at an enjoyable, relaxed pace and with a strong work ethic. I always prepare for your lessons based on your interests, integrating relevant books and videos, creating handouts tailored to what we are studying in order to maintain clarity. Just had the first session with Calvin. He showed up on time, he was very patient the whole time. Terrific young man. We look forward to more time with him. Super positive and professional. First lesson with Calvin was fantastic. Looking forward to the next. Great teaching on proper technique adapted to what I want to learn. Highly recommend. I teach beginning and intermediate students on mandolin and teach in a variety of styles and will cater my lessons to YOUR needs! Hi, my name is Jeff. I received my Bachelors' in Music from Cal State Los Angeles and have taught music for over 30 years. I've played with the Drifters, Tower of Power, Brenda White, and Bobby Bradford. I have lead bands that have included alumni from the likes of Stevie Wonder, Jerry Lee Lewis, Count Basie, Chaka Khan, Smokey Robinson, Frank Sinatra, Ray Charles, the Temptations, Gladys Knight, Foreigner, Harry James, Joe Sample and the Jazz Crusaders, Buffy Sainte-Marie, Yanni and even Englebert Humperdink! I teach in a wide variety of styles and have the experience and knowledge from my years of teaching and performing to greatly increase your knowledge about music and greatly improve your technique. me a human jukebox and if I don't know a song that you would like to learn, I can figure it out for you note for note if you bring in the song on CD, iPod or anything else. Some students just want to play for their friends, family, church etc. and others want to learn how to improvise solos and learn a wide variety of styles. Whether it's rock, pop, jazz, blues, gospel, country or folk music I can and will teach you every scale, mode and chord known to mankind if that's what you need! It all depends on what YOU want to learn! I have a fender mandolin, yamaha electric bass, taylor acoustic guitar, a fender stratocaster and telecaster, a gibson blues-hawk, a guild hollow-body electric, a hohner classical-electric guitar a music man amp, and a wurlitzer electric piano. i will expect you to bring your instrument but everything else will be here at the studio. My Aunty is turning 80 this weekend and I decided to learn how to play Happy Birthday on the ukulele as a surprise for her. Jeff not only helped me accomplish my goal but also got me started on other songs as well. His patience and enthusiastic personality made the lessons not ony productive but personable as well!!! 2 thumbs up to an awesome instructor!!!!! Jeff is an amazing instructor. He makes you feel so comfortable and tunes into your abilities to ensure he tailors your lessons to help you achieve the most out of your lessons. Would definately recommend him. I took lessons from Jeff years ago. He was a great instructor and tailored the lessons to my needs. I credit him with much of my guitar skill today. 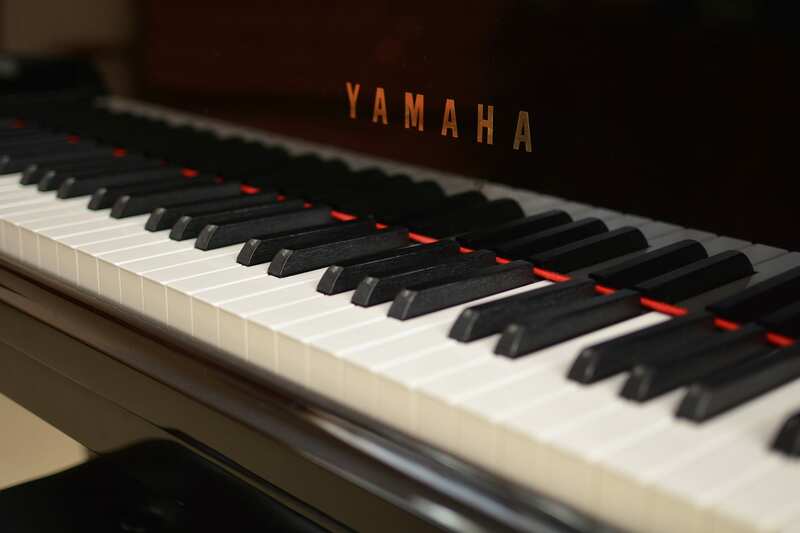 We'll cover music basic theory and the most part of your lesson will be the music you want to learn, saving a small portion of the time to repertoire that I consider will help you grow musically. Sibelius, Logic, apple, Kala ukes, U-bass, vihuela, charango, piano, keyboard, accordion, acoustic and electric guitars, panflutes, boss fx, amps, mics, and more. Rodrigo is a great teacher, not only an expert musician, but he shares all his knowledge. Great introductory class, covering the basic fundamentals of singing the right way with confidence. I've been teaching mandolin for 4 years helping students develop a love for the instrument and learn more about music along the way. Mandolin is an often underappreciated instrument which is fantastic for both melodic and rhythmic playing styles. Within the first few lessons you'll have a solid base of strumming, picking, chord changes and melodic playing, with a couple simple songs too. Moving on from there I will craft lessons to move you toward a "goal song," making sure to cater your progress to your needs while keeping a focus on good technique. I enjoy working with students of all ages and experiences and I can't wait to meet you! Ryan is a musician from Jefferson Park who plays a plethora of different instruments. He specializes in guitar, banjo, mandolin and ukulele, but also dabbles in accordion, piano, drums, harmonica and several others. Learning to play instruments is one of the true pleasures in his life and he hopes he can make it one of yours, too. As a teacher Ryan's goals are fairly simple. First and foremost he wants to make his lessons comfortable, interesting and fun. A close second is to build a strong foundation on the basics, so as we learn more advanced techniques we have a solid base of technique to build upon. And third, an understanding of the theory and history behind the music is a great way to engage in the music beyond just the rote learning of technique. sity of Illinois, specializing in Ethnomusicology (the study of music of different cultures). This education gave him a strong background in music theory and history in the Western tradition, but also opened him up to a vast experience of a diverse cross section of music from around the world. His insatiable love for learning new instruments started here, where he studied music from West Africa to Bali. Currently Ryan is a co-lead singer, songwriter and stringed instrument player for the local band Distant Brothers, a folk rock band based out of Chicago. They play venues throughout the Midwest, with some of the notable venues being House of Blues, Metro and Cubby Bear in Chicago. Another highlight of his time with the band has been a collaboration with Oistrakh Symphony Orchestra, where he not only was able to play in collaboration with the orchestra, but joined in the arranging and conceptualization of some of the pieces played. If your looking for a patient teacher, you’ve found him. Ryan has been a breeze to work with and you won’t feel like any of your questions are silly. His explanations and talents along with his patience has helped me get further then I ever thought possible. I have been playing mandolin for about five years now. What started as a Led Zeppelin obsession has since moved towards a Chris Thile obsession...including studies following his learning methods. I absolutely love teaching music! After over 20 years of teaching, performing, writing, and recording in all styles/genres, it continues to be a great adventure. It is a joy to pass this on to others...especially seeing my students that never touched the instrument going on to be very proficient players. I take teaching seriously, but definitely try to make it enjoyable for the student. I studied classical guitar in college, but was playing everything from Van Halen to Jazz to Country & Blues before that. Currently, I'd consider myself a flat out musical mutt...enjoying anything and everything. The love of guitar has also expanded to a multitude of instruments that I record, gig, & teach with. Terrific instructor...just what i was looking for. Joe is a great teacher for my son - patient, enthusiastic and adapts the music for learning to my son's interest. Can't recommend enough - great! Looking for someone to help you reach that next level? Whatever your stringed instrument, I can guide you there. From the rank basics to traditional tunes, to timing and tone, technique and theory, I can show you what you need to make your journey easier. Rely on my 15 years of music teaching experience to save you countless hours of bewilderment and frustration! My journey as a musician which began at the age of 8 has now carried me to 48 states and a dozen countries, including 4 tours in continental Europe. I spent 7+ years performing, recording, and giving workshops with talented acoustic acts based in Nashville and the southeast. I am lucky to have been involved and contributed to a handful of IBMA and Grammy-nominated albums. Increasingly, however, I turn my focus toward private teaching. I find great joy and pride in helping a student reach their goals and surprise themselves with their own potential. Go ahead and get in touch, and let's try a session together! In the last decade, I’ve logged a million miles and thousands of hours of playing time as a sideman for bluegrass and acoustic acts. I’ve applied my talents to award-winning projects with top artists, adding fiddle, guitar, mandolin, banjo, and often vocals, to these albums. I've been so pleased to carry this background experience into my work as a teacher of these stringed instruments. It's such a great value to be able to answer what questions people have about the professional touring life! When involved in any part of the musical realm, it quickly becomes evident that everyone is unique in their learning style, and we all have an equally unique set of goals for our own music. nd of your instrument that you can confidently take anywhere, to any setting! On all instruments offered, I show students new skills through tunes and songs and add new variations to exercise ability and stretch the imagination. On the way, I strive to aid and challenge the development of students' ears in light, constructive ways. We’ll walk through the fundamentals together and go over techniques and exercises that help musicians get the most out of an instrument. We’ll listen in detail to the tone and quality of the music we produce, and adjust lesson material to the areas that will most benefit the student. And, we’ll focus on becoming stress and tension free players, creating clear paths for the music that you mean to play. I’m always happy to provide quality tablature and other forms of notation when appropriate and have taught many the basics of the Nashville Number System. Yet, I do believe acquiring the skill of simply 'hearing and doing' to be a key milestone in the path to musical freedom, and I tend to devote some time to nurturing this trait. With practice and diligence, you can play anything you hear! My children take fiddle, bango and guitar lessons from Bryan. He makes the lessons fun and engaging. He does an amazing job teaching them on their level, and my children excitedly look forward to their weekly lessons. He is very professional and detailed, taking the time to send videos each week for them to use to practice. We are very thankful for him, and since beginning music lessons, all 3 of my children have progressed quickly in their knowledge and love of their instruments. My son is brand new to guitar, Bryan is exceptionally patient and considerate with him. I would definitely recommend him to anyone look for a great teacher! Bryan is a wonderful player, teacher, and person. He is patient and methodical. year old isn't easy, especially via Skype. Thanks, Glenn. We're hoping his enthusiasm continues." Los Angeles, CA teacher: Glenn S.
ile he was teaching me how to play the instrument, he also introduced me a various genres and styles of music.He is very knowledgeable of music theory such as chord transpositions, terminology, as well as the musical notations. He also was willing to modify the lessons to meet my needs and abilities so that I can be successful. He truly is a multi-talented teacher and very very nice one, too. Most of all, it was so fun to take lessons from him." Los Angeles, CA teacher: Rodrigo R.
Los Angeles, CA teacher: Joe S.
Los Angeles, CA teacher: Edwin I.
lp you reach your goal. Additionally, if you want a teacher who relates to your musical sensibilities, Jeff's the man. His immense and eclectic music collection indicates a very wide range of musical appreciation. Can't say enough, if need hand holding or a taskmaster you can't do better. If you're not local Jeff's worth the drive." Los Angeles, CA teacher: Jeff S.
"Great teacher - he keeps me on track and works at my level." Los Angeles, CA teacher: Jared J. "Tthe lessons were very enjoyable and fun!" Los Angeles, CA teacher: Beckie E.
ed to add on longer lessons. That is a good sign!" "Glen is a very knowledgable teacher. He makes it easy to understand what I'm doing wrong, and right." Spanish in Spain vs. Mexico: What's the Difference? Are You Making the Most of Your Violin Practice?